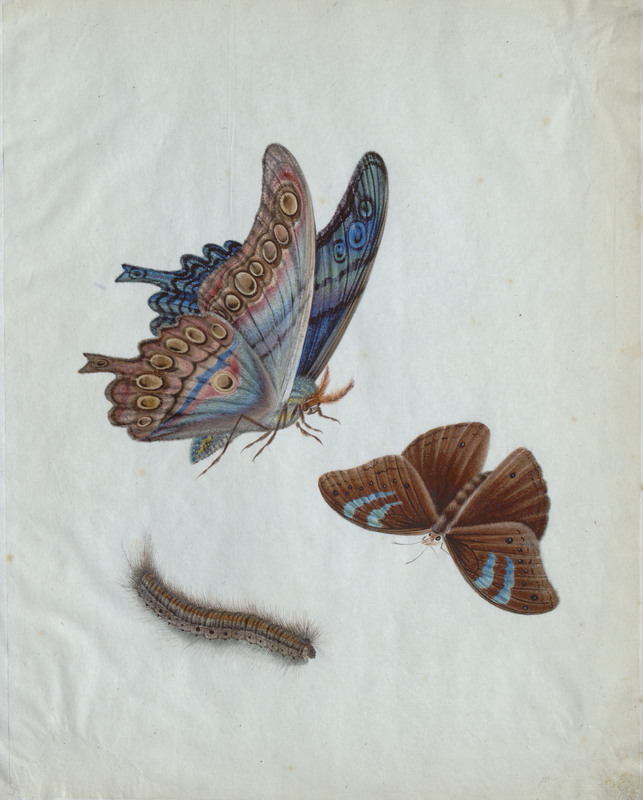 In the heat of the summer, one of our researchers found these beautiful illustrations of moths and insects in an album held in one of our library collections. 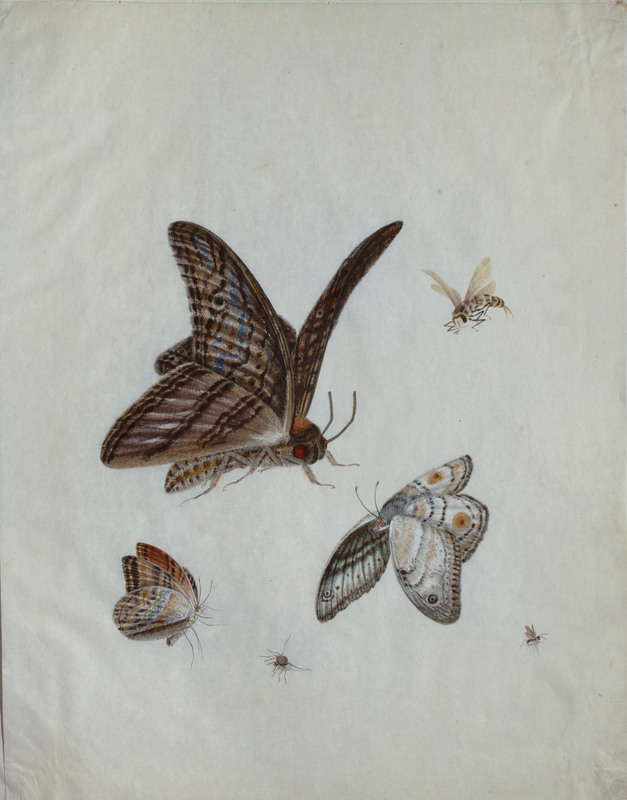 Illustrations from ‘Album of Paintings of Insects: Moths’, [early 19th century]. Ref: CWML MSS 506. Council for World Mission archives. 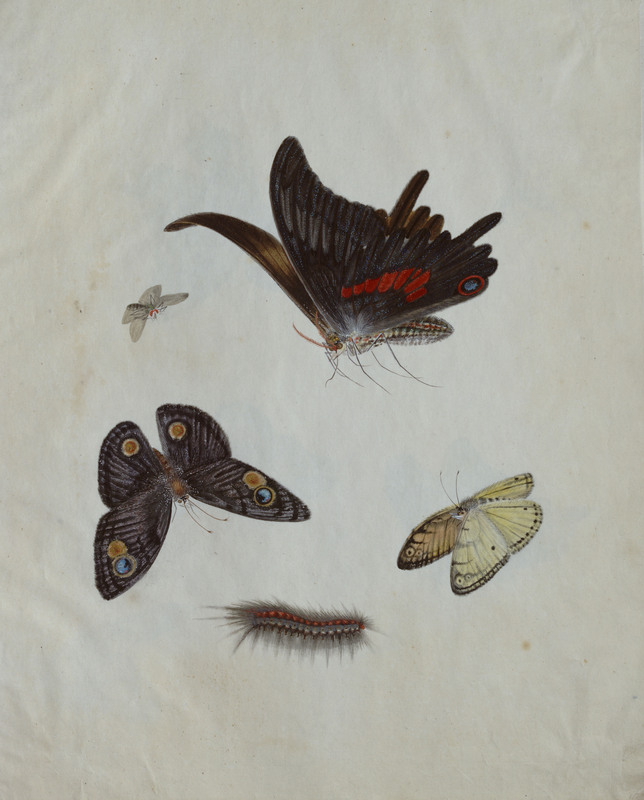 The album, entitled ‘Album of Paintings of Insects: Moths’, contains watercolour illustrations of moths and other insects (reference: CWML MSS 506). Dating from the early 19th century, an ornate label adhered to the inside cover identifies these as being produced by the Studio of Fatqua (Chinese, fl. 1810-1830), ‘Painter in Oils and Water Colours, and on Glass, China Street, Canton’. This is one of a collection of unpublished manuscripts found in the Council for World Mission Library, which in itself comprises the ‘general library’ of the London Missionary Society and the extensive collection of works donated by the medical missionary William Lockhart (1811-1896). During the process of cataloguing this collection a quantity of unpublished items came to light, and the decision was taken to separate these from the printed collection and reference and catalogue them as a discrete collection in their own right (reference: CWML MSS). Other watercolour albums produced by the same Canton Studio found in this sequence include illustrations of Chinese furniture (Ref: CWML MSS 503) and Chinese dress (reference: CWML MSS 504). Material can be seen in the Special Collections Reading Room, SOAS Library.